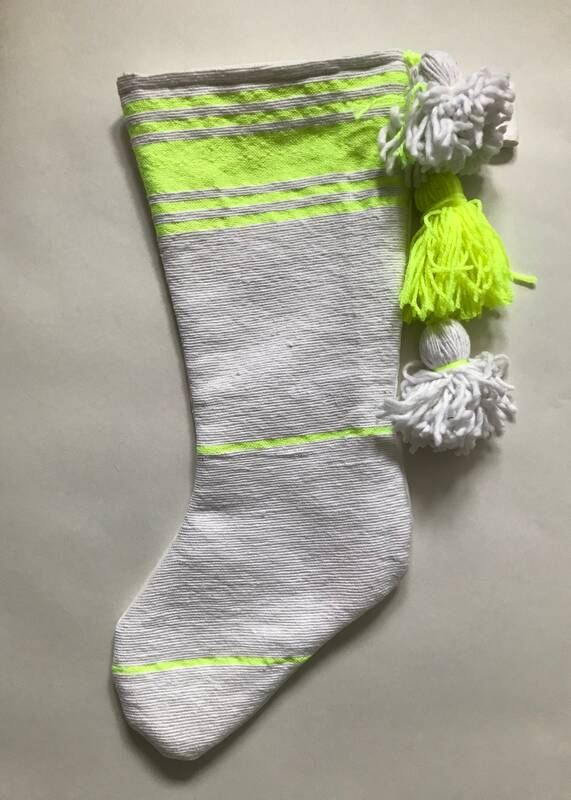 Boho Christmas stocking hand made from a neon yellow stripe Moroccan wool blanket purchased in the souks of Marrakech. Approx 18cm wide (at top) and 45cm high (from top to toe). 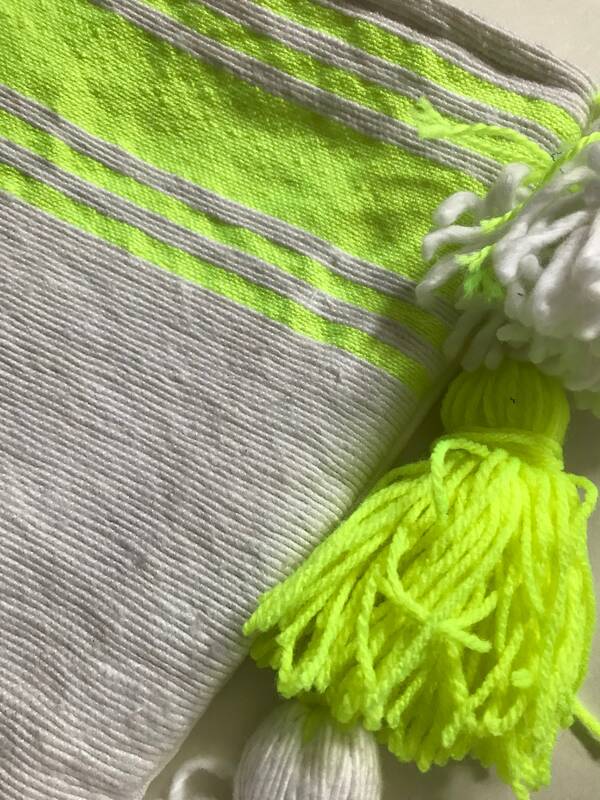 The front of the stocking is made from a wool striped Moroccan blanket, the back is white linen. 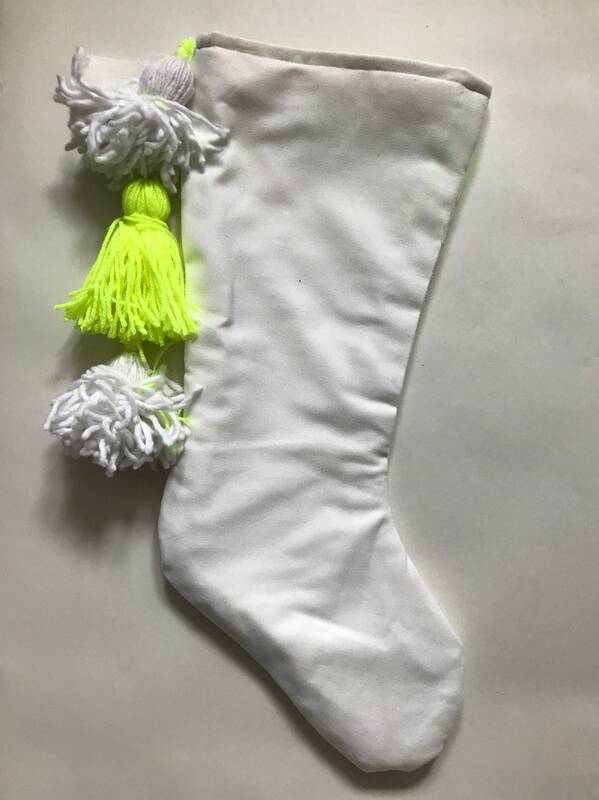 The stocking is fully lined with white cotton. The stocking is finished with a hanging loop. 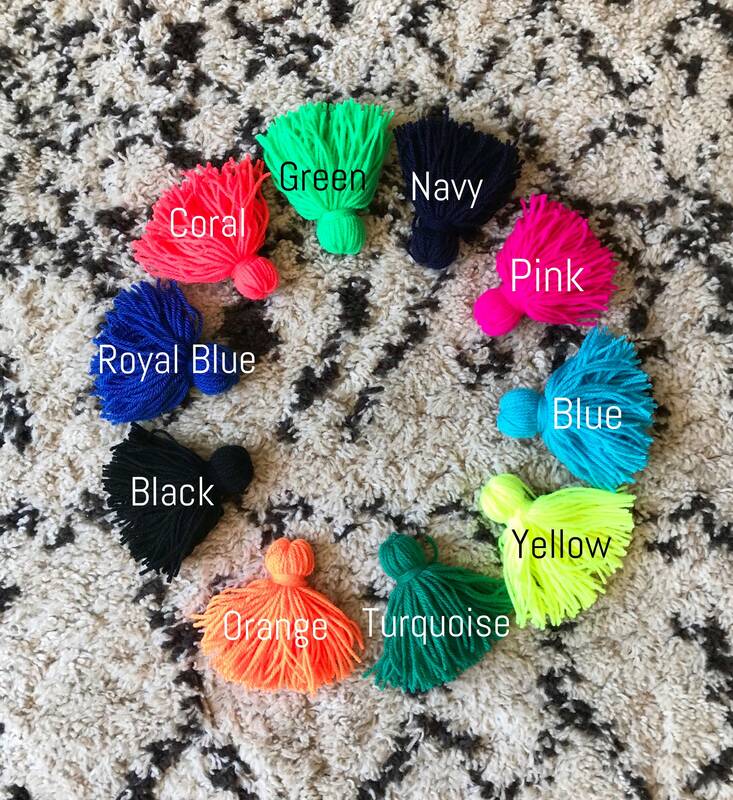 Pick 3 matching or contrasting tassels to finish off your stocking. If there is a colour you would like that is not here please let me know and I'm sure I can help.